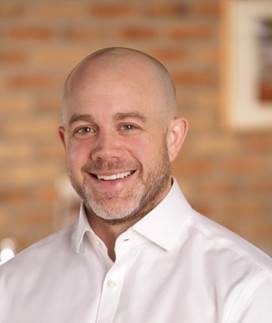 METTAWA, Ill., Oct. 31, 2018-- Brunswick Corporation (NYSE: BC) today announced that Jason Worthy, a fitness industry veteran with more than 20 years of fitness industry experience, most recently as vice president and general manager of fitness solutions for Life Fitness, has been named president of Brunswick's Fitness division, effective immediately. Reporting to Brunswick Directors David Everitt and David Singer, Worthy succeeds Jaime Irick, who left his role as vice president and president-Fitness Division. "We thank Jaime for his contributions to Brunswick, including leading the Fitness business amid a changing commercial fitness environment and for his work to advance the business's technology and digital strategy," said Mark Schwabero, Brunswick chairman and chief executive officer. Acknowledging Worthy's deep understanding of the fitness business and the industry at large, the Company said in a statement that Worthy is stepping into his new role ready to immediately leverage that expertise to drive value and enhance customer satisfaction. Further, Worthy's combination of operator, competitor, start-up and international experience, in addition to his understanding of commercial club operations, uniquely qualifies him to lead the continued improvement and growth of the Fitness division as it moves toward separation from Brunswick. As announced during its recent third quarter earnings call, Brunswick's Board of Directors has appointed Everitt and Singer to oversee the Fitness division management team and operations along with the completion of the separation of the Fitness business. In this capacity, they will be closely involved in the Fitness division strategy and day-to-day operations, applying their deep management, operational and financial experience across consumer products and manufacturing industries to lead a re-evaluation and realignment of the Fitness division business plans and priorities positioning it to succeed as a strong standalone company. Before joining Life Fitness in 2012, Worthy led global procurement for the UK's then largest fitness chain, Fitness First. While with Fitness First, he also co-led the ideation and launch of a new budget club chain called Klick Fitness. Earlier in his career, he helped build and scale a small internet-based fitness startup and secured investment for its growth. At Life Fitness, Worthy most recently served as vice president and general manager of fitness solutions, where he led a team to create Halo Fitness, Halo Media Sponsored Content (beta) and digital product development. Worthy previously served as managing director leading Life Fitness' mergers and acquisitions activity across the international strategic business unit (EMEA and APAC). He also previously served as managing director - EMEA direct business and managing director of the UK office as well as general manager of the EMEA distributor business. Worthy has a bachelor of science in sport and exercise science from De Montfort University in Leicester, England, and a master of science in human performance physiology from Brunel University in London. Headquartered in Mettawa, Ill., Brunswick Corporation's leading consumer brands include Mercury and Mariner outboard engines; Mercury MerCruiser sterndrives and inboard engines; MotorGuide trolling motors; Ancor, Attwood, BEP, Blue Sea Systems, Czone, Del City, Garelick, Lenco Marine, Marinco, Mastervolt, Mercury, NAUTIC-ON, Park Power, Progressive Industries, ProMariner, Quicksilver and Whale marine parts and accessories; Land 'N' Sea, Kellogg Marine, Lankhorst Taselaar, Payne's Marine and BLA parts and accessories distributors; Bayliner, Boston Whaler, Brunswick Commercial and Government Products, Crestliner, Cypress Cay, Harris, Lowe, Lund, Princecraft, Quicksilver, Rayglass, Sea Ray, Thunder Jet and Uttern boats; Life Fitness, Hammer Strength, Cybex, Indoor Cycling Group and SCIFIT fitness equipment; and Brunswick billiards tables, accessories and game room furniture. For more information, visit http://www.brunswick.com.